As the year end approaches, it is opportune to look back over the past 12 months, to review conservation milestones – land saved, wildlife protected – and to evaluate fundraising achievements and other significant activities during the year. Our main achievements are highlighted below and I would like to thank all those who have contributed so generously to the work of WLT during 2015. WLT could not have achieved this success without every element: our overseas conservation partners and their representatives, WLT fundraisers and supporters (both individuals and corporates), Patrons, Trustees, staff, associates and volunteers. Thank you to everyone. We look forward to building on this success in 2016. During 2015 WLT directly funded the purchase of 26,783 acres (10,839 hectares). A major achievement of the year is the purchase of 17,000 acres in the Paraguayan Chaco. WLT has also funded land purchase to extend reserves in Armenia, Colombia, Ecuador, Honduras, Guatemala and Mexico. Mangroves in Guatemala. © Bethan John. WLT is currently supporting a Buy an Acre project in Argentina to save a 10,000 acre (4,000 hectares) of Yungas forest (the property of El Pantanoso). WLT is close to agreeing the terms of the land purchase with the current owner. These land purchases protect a diverse range of habitats including the mangroves of Tapon Creek in Guatemala, the dry forest of southern Ecuador and the Chocó forest of Colombia, the wettest forest on the planet. New conservation projects in Vietnam and Peru that were only just getting off the ground in 2014, are now progressing. Leases continue to be a feature of WLT’s habitat protection strategy. During the year WLT funded leases in Armenia to extend the Caucasus Wildlife Refuge and the signing of a 30 year lease in Khe Nuoc Trong was a milestone for WLT’s Carbon Balanced programme in Vietnam. Progress towards Verified Carbon Standard validation and verification and Climate, Community & Biodiversity Alliance (CCBA) verification of the La Amistad component of WLT’s Paraguay Forest Conservation project is going well, with the prospect of these important milestones being reached early in 2016. In addition, the Chaco-Pantanal component of the project has gone through a CCBA verification and the audit queries are currently being processed. 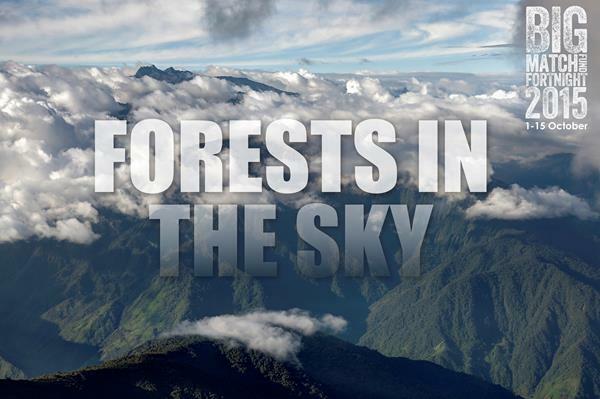 Protecting a wildlife corridor (Forests in the Sky) in the eastern Andes of Ecuador was the focus for WLT’s major annual appeal in 2015. The appeal target was £500,000 and £280,000 was raised towards the target during Big Match Fortnight in October. Just a few weeks after Big Match Fortnight, 2,545 acres (1,030 hectares) of cloud forest had already been purchased and protected. This just goes to show how much WLT can achieve when funds are available. By mid December donations to the appeal had reached £372,408, which includes a very generous one-off donation of £50,000 received in December from an individual supporter. There are other properties in the corridor still to be purchased and WLT will continue to raise funds until the appeal target is met. WLT’s conservation partners badly need rangers to protect reserves from illegal activities such as logging and poaching and, since 2011, WLT’s Keepers of the Wild programme has been a resounding success. Ranger Adrian, Keeper of the Wild at La Esperanza. © FPN. On International Rangers Day 2015, WLT launched the Keepers 2020 appeal to raise £750,000 to guarantee WLT’s ranger programme until 2020. To support the appeal WLT invited conservation partners to tell us how the programme benefits them and their conservation programmes. 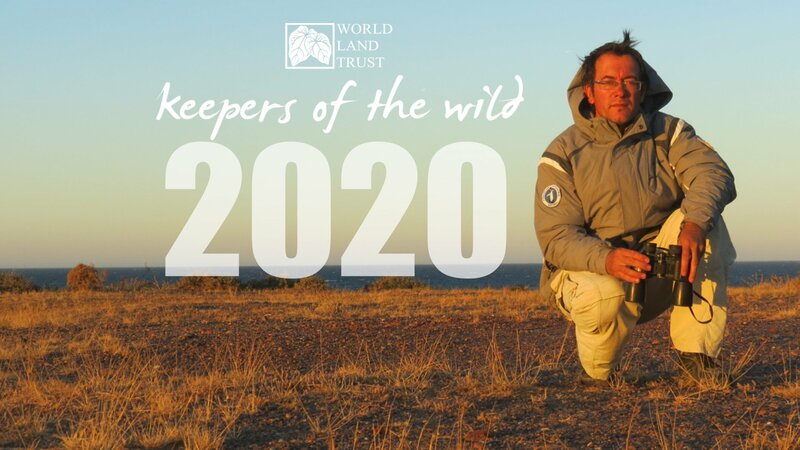 Their testimonials spoke loud and clear about the value of the programme and WLT will continue to encourage supporters to donate to Keepers 2020 in 2016. WLT’s Action Fund continued to direct funds to where they are most needed. In Colombia, for example, following a short notice request for funds from Fundación ProAves and American Bird Conservancy, funding from the Action Fund secured a property to extend El Dorado Reserve before the April deadline set by the property owner. The Action Fund has also contributed towards WLT’s conservation projects in Armenia, Peru and Honduras. In May, in response to the devastation caused by the earthquakes in Nepal, WLT’s emergency appeal for funds to assist anti-poaching measures in the Nepalese national parks raised more than £10,000. 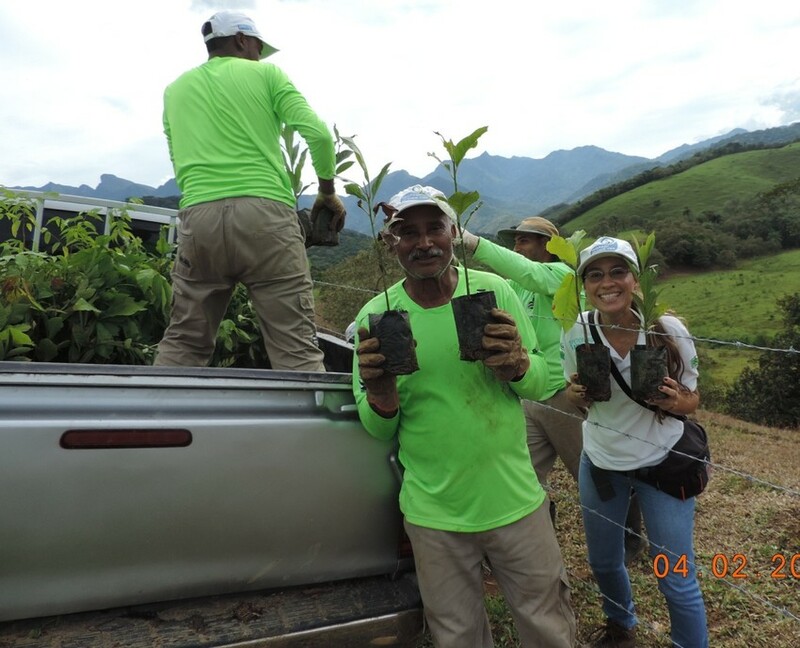 During 2015 WLT continued its successful reforestation initiatives, with more than a million trees set to be sown or planted across areas of Kenya, Brazil and Ecuador. Keeper of the Wild Antonio plants trees at REGUA. © REGUA. In partnership with Nature Kenya, WLT has funded the planting of 10,925 native species within areas of native forest. WLT has also supported the planting of 425 fast growing trees in woodlots outside reserves to take pressure off wood stocks in protected areas. WLT has funded the planting of 10,000 native trees in the Atlantic forest of Brazil in partnership with Reserva Ecológica de Guapi Assu. Of these, 5,000 were planted thanks to a donation from the Korean pop star Seo Taiji. With the support of The Body Shop, WLT has funded the sowing and planting of one million tree seeds in the dry forest of Ecuador in partnership with Fundación Pro-Bosque. During the year WLT welcomed representatives from our overseas conservation partners to the UK: Obdulio Menghi from Fundación Biodiversidad-Argentina, Vladimir Rodriguez and Therese Jonch from Programme for Belize, Lou Jost from Fundación EcoMinga, Vivek Menon from Wildlife Trust of India. WLT staff also made field trips to conservation projects supported by WLT in Belize, India, Paraguay, Peru and Vietnam. Members of the Programmes team also spent time with staff of American Bird Conservancy at their office in Washington, DC. These site visits are immensely useful for sharing expertise and strengthening relationships between WLT and its partners. In the spotlight in 2015 were rare, newly discovered, micro orchids in Ecuador. Not only are these tiny species widespread through the Forests in the Sky Corridor, but they were also the focus of a film premiere and fundraising event in September, attended by WLT Patron Sir David Attenborough. At the evening reception, a number of generous supporters each donated £10,000 or more towards WLT’s conservation work in Ecuador. 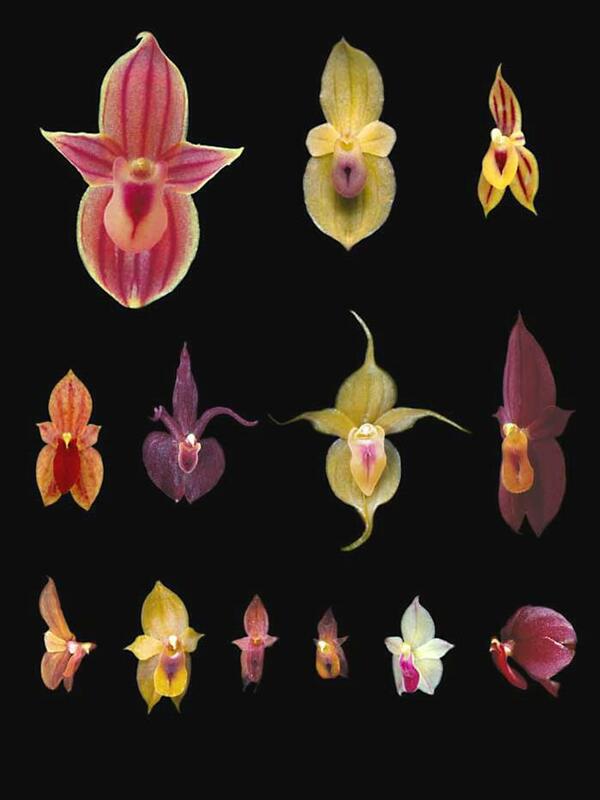 In return for this support, Lou Jost, Co-founder of Fundación EcoMinga, offered to name after each donor, an as yet unnamed species of orchid that he has discovered. WLT Patron David Gower also hosted an event for WLT during the year. In October during the Halesworth Arts Festival he entertained the audience with tails of his exploits while playing for and captaining the England cricket team. On stage with him was Simon Barnes, sports writer and WLT Council member, who added another perspective to David’s anecdotes. Throughout the year WLT’s fearless fundraisers continued to amaze and inspire us with their feats of endurance and imagination. In 2015 Steve Backshall raised more funds than any other single fundraiser in WLT’s history. 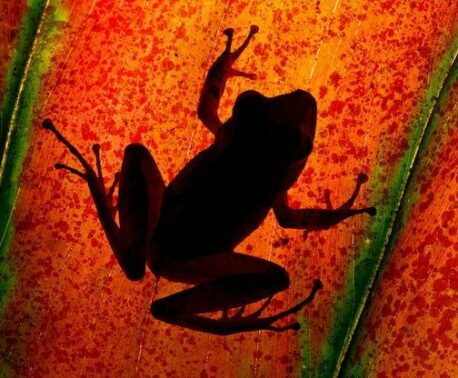 Thanks to Steve raising £50,000, WLT was able to secure an extension to Las Tangaras Reserve in the Chocó rainforest of Colombia and guarantee the salary of a ranger in the Rana Terribilis Amphibian Reserve for a year. In another first in 2015, WLT had its own charity place at the London Marathon. Student Hedd Thomas completed the race at the end of April and raised nearly £1,300. Steve and Hedd are just two examples of the dozens of individuals who set themselves a range of personal challenges to raise funds for WLT. At the end of WLT’s 25th Anniversary year in May 2015, Anniversary Fundraisers together had raised more than £60,000 in the previous 12 months. During 2015 the private sector continued to give to WLT in many different ways. Some corporate supporters make regular donations based on a percentage of turnover, others support WLT’s conservation work through the Carbon Balanced programme. In December WLT relaunched Carbon Balanced Paper in partnership with Carbon CO. WLT and its partners will continue to promote the Carbon Balanced Paper brand in 2016 so as to generate valuable income for WLT’s forest conservation projects in Vietnam and Ecuador. Dozens of schools donated to WLT during 2015 including Ravenscourt Park Prep School which raised an incredible £23,000. Several zoological collections and members of the British and Irish Association of Zoos and Aquariums also supported WLT’s conservation projects. 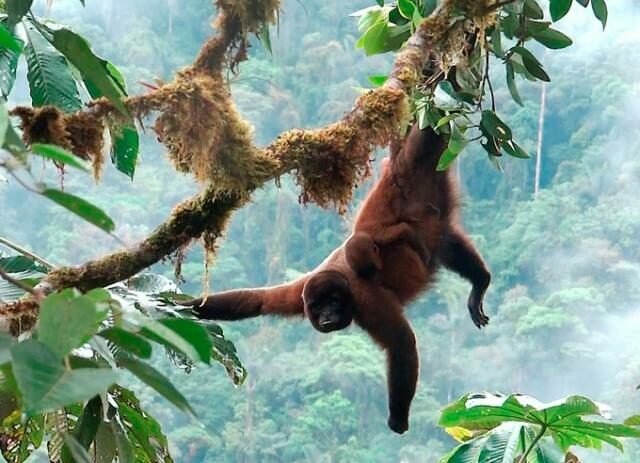 Among them was Chessington Conservation Fund, which donated £25,000 to extend Nangaritza Reserve in southern Ecuador, as well as providing ongoing funding for a ranger in Cazaderos Reserve. 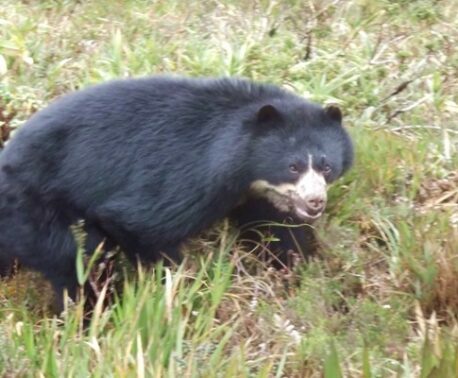 Other BIAZA members donated to BIAZA Buy an Acre, which is raising funds to save an area of Yungas forest in northern Argentina. WLT received several donations of £10,000 or more from trusts and foundations in 2015. Big Match Fortnight in October attracted donations from Muriel Jones Foundation (£100,000), Stewarts Law Foundation (£20,000) and Ennismore Foundation (£10,000). Taylor Family Foundation gave £40,000, Generations Foundation gave £33,701 towards the Keepers of the Wild programme and £10,000 to the emergency appeal for Nepal. Peter Smith Charitable Trust for Nature gave £12,000 in April and £20,000 in October. Thousands of other people contributed to the work of WLT throughout 2015. Among these supporters are WLT Friends, who make regular monthly donations. At the year end WLT Friends numbered 1720. Hundreds of other people made one off or repeat donations and supported our special appeals. Others supported the work of WLT with donations in kind, by volunteering and through social media.